Wear protective gear. Make sure your children always have on the proper equipment for their sport before going onto the field or court. This may include pads, helmet, and mouthguard. If your child must wear eyeglasses while playing, they should be made of nonshattering glass. This will help prevent eye injury. Avoid “overplaying.” Kids should take breaks often during strenuous sports to prevent overuse injuries, like small muscle tears and fractures. The American Academy of Pediatrics (AAP) also recommends taking a one-month break from a specific sport every year to avoid injury. Consider other health conditions. 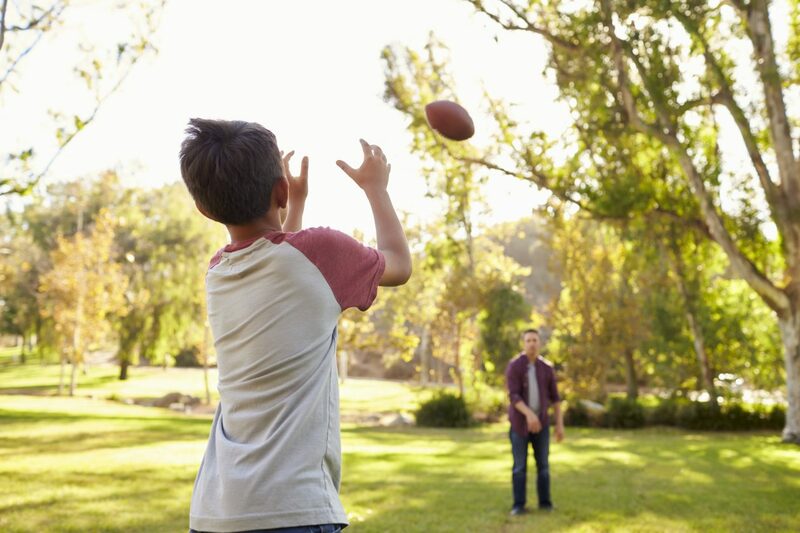 Children with certain conditions, like irregular heart rhythms and bleeding disorders, may not be suited for contact sports. A preseason physical is recommended to rule out any conditions that may limit your child’s ability to participate in sports. Avoid hot-weather injury. When playing outdoor sports during warmer months, make sure your child stays hydrated by drinking fluids before, during, and after a game or match. Kids and teens should take a water break every 20 minutes. During extremely hot and humid conditions, it may be necessary to reduce or stop practices. Group kids by size. Kids are more likely to be injured in a contact sport if they’re playing with opponents who are twice their size. Encourage your child’s coach to group players by size and skill level instead of by age. If this isn’t possible, the game should be modified to accommodate beginners or smaller players. Don’t rush back after injury. If your child suffers an acute or overuse injury from contact sports, be sure that he or she is completely free of symptoms before resuming play. A young athlete should have full range of motion and no pain or swelling in the affected area. After sustaining an injury, children should get clearance from a health care provider before they begin playing again. If your child is hurt from a contact sport please view our orthopedic services for more information on treatment and provider options.